Weâ€™re busy tightening all the nuts and bolts getting things ready for the Steam Early Access release and we added a lot of stuff that we thought was worth putting into a supplementary update. Hereâ€™s a shot of something weâ€™re working on right now the â€˜Infected Hospitalâ€™ map, one of our very first interiors! It shows of some of the tweaks weâ€™ve made to the visuals quite nicely. 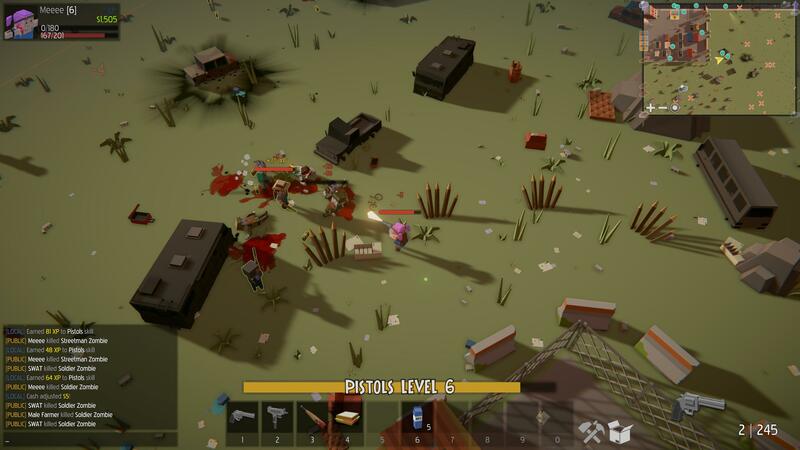 One of the things we wanted to put into Zombie Barricades right from the start was a team system that allowed us to have Players and AI fighting together vs. other Players or AI. This is key to our dream of creating something that can be played cooperatively, but also allows us to create insane action-packed gameplay environments. 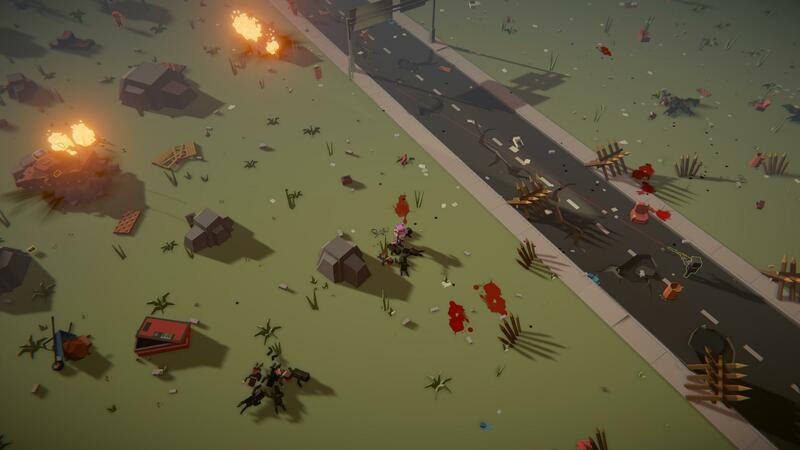 Weâ€™re happy to report that we have started to overhaul the AI, so they are able to target things over a greater range and have much better behaviour when hearing noise or engaging. So far, weâ€™ve been focusing mainly on the mechanical stuff and keeping the visual FX fun and simple. We started experimenting with using decals for blood splatter and bullet holes when recording the new and trailer and found it really adds a new dimension to things, so we added them to the full game. Enjoy! Weâ€™re moving to a system whereby game things are preloaded like most games to keep in-game lag to a minimum, this is pretty much implemented now â€“ so older computers should get a little performance boast. Some mentioning of game server crashes on Discord, these have now been addressed also. Another round of tweaks to come yet with Update 10, so keep a look out. Youâ€™ll need to download the game again from the game website or your favourite up-to-date source. From all the team here at Barricade, cheers for the continued support!